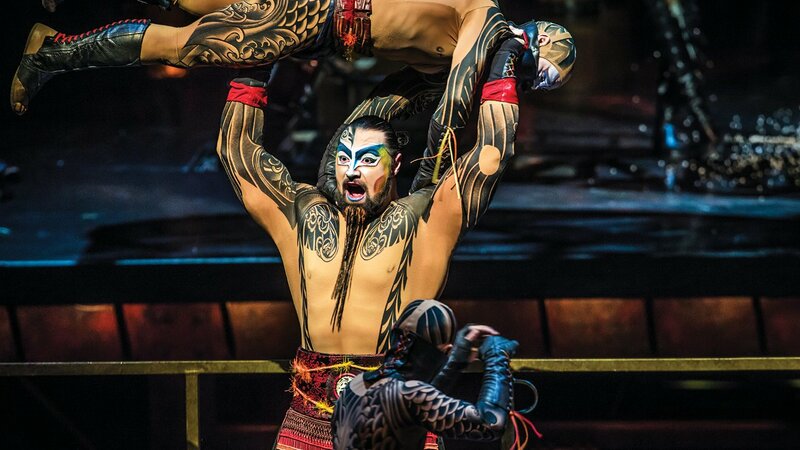 KA Cirque Du Soleil delivers with epic storytelling, dramatic stage production and a battle between of good and evil. 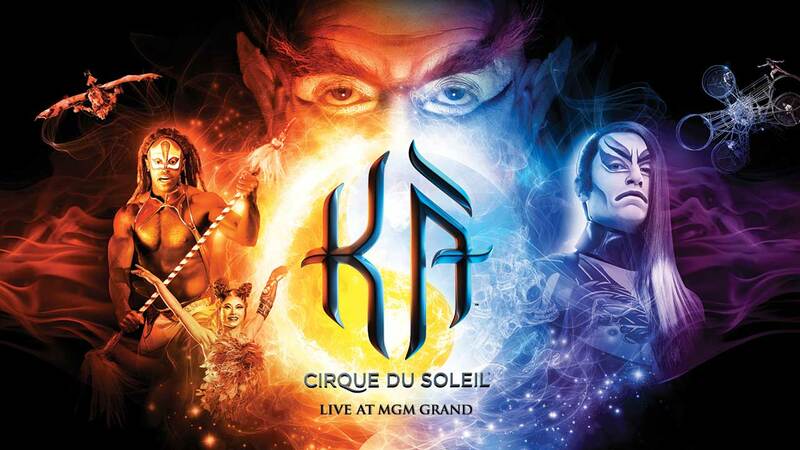 KA engages audiences with a clear and compelling storyline about good vs. evil, making it unique in comparison to the more abstract Cirque du Soleil shows in Las Vegas. 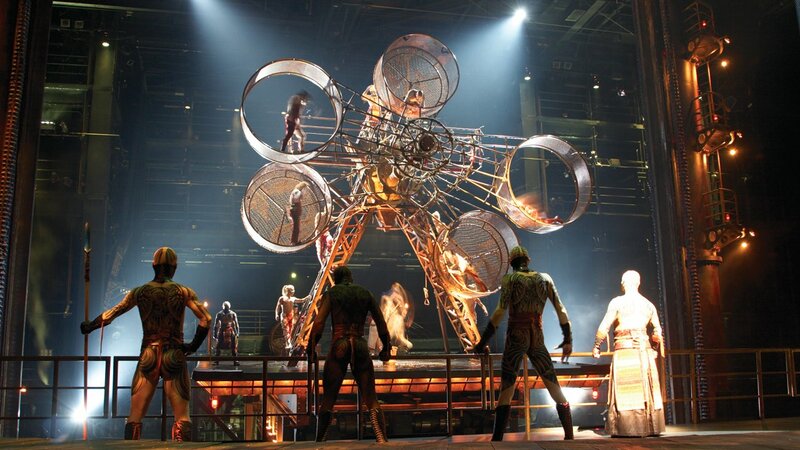 But like Cirque’s other productions, KA’s emphasis is on visuals first and foremost, with very minimal dialogue. The epic tale is set into motion when a set of royal twins are attacked by neighboring warlords and separated during the chaotic battle. Over the course of the pulse-pounding show, the twins embark on a journey to reunite with the other half of themselves and earn the right to return their home. As the journey unfolds, the characters engage in epic battles on numerous fields that come to life on a stage built that tilts, lifts, and turns as it transforms from a beach to a steep mountainside, from a raging ocean to a dense jungle, and many other dramatic terrains. Martial artists and acrobats challenge the laws of gravity as they fight each other for control of the land and give chase to the heroic twins. The twin sister and her nursemaid race to the top of a steep cliff as the stage tilts 12 degrees per second, while their pursuers plummet dramatically. The lifting, tilting, and ever-dynamic stage isn’t the only visual astonishment in KA has to offer. The giant rotating “Wheel of Death” in which acrobats keep a giant steel cage wheels spinning is a highlight, and the sequence in which Forest People transform a tent into a flying bird has to be seen to be believed. But nothing can top the climactic finale in which all of the major characters come together during an epic battle that mixes martial arts, acrobatics, and spectacular pyrotechnics. 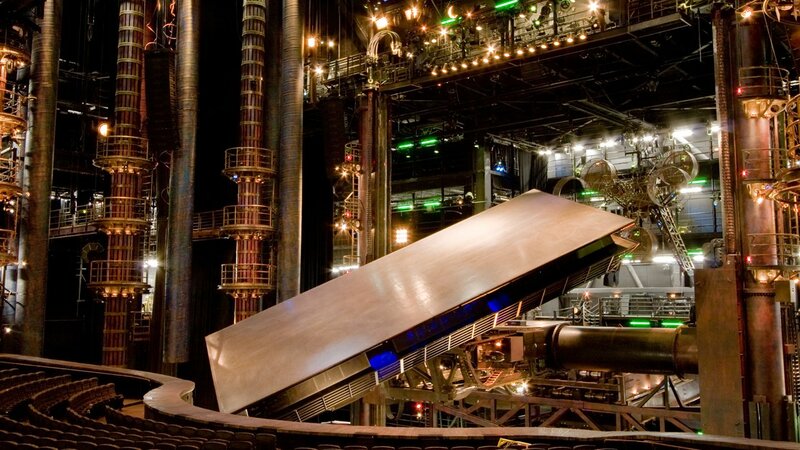 With such an elaborate stage featuring so many intricate set pieces, it would be nearly impossible for the producers to take KA on the road, which makes Cirque Du Soleil’s epic an only in Vegas experience.